Medical care has shifted to team-based care, increased medical specialization, a growing volume of digital patient data, and stringent regulations for patient privacy. Healthcare providers strive to deliver the best possible care to patients, but the tools they use for coordinating patient care are often fragmented and impede the collaborative workflows required in a complex care environment. 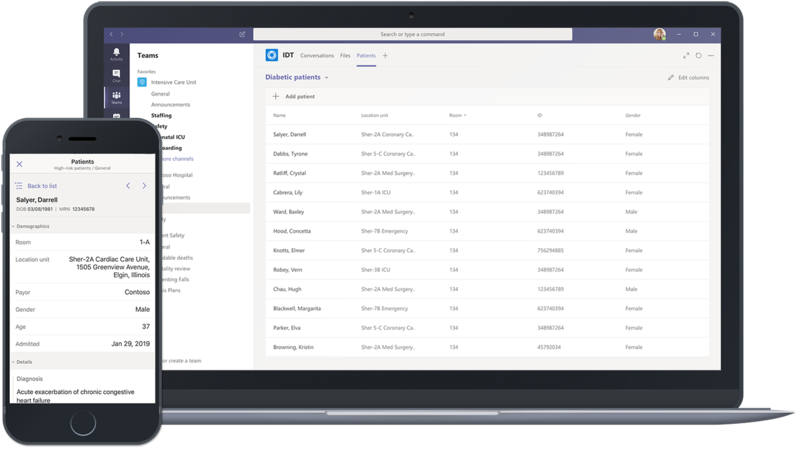 To address these challenges, today we are announcing new capabilities in Microsoft Teams that empower care teams and enable healthcare organizations to securely collaborate and communicate. Built on the secure, compliant Microsoft 365 cloud, Teams gives all healthcare workers a familiar way to communicate in real-time, coordinate patient care, and improve operational efficiencies. New advanced messaging features include priority notifications for urgent messages and message delegation to securely manage urgent patient care. In addition, new platform enhancements provide the ability to integrate electronic health records for care coordination and make Teams an even more powerful hub for health team collaboration. Good patient care begins with a clinician who is empowered with unfettered access to the right information, the ability to communicate swiftly, and the peace of mind that all of this communication is secure and compliant with patient data protection regulations. This balance of convenience and compliance has been difficult for care teams to achieve. As a result, many clinicians have resorted to using consumer chat apps as part of their patient care. This can pose significant risks to security, compliance, and patient data privacy. And in a highly regulated industry, this can also result in heavy fines for inappropriate data governance and protection. To help address these unmet needs, we are expanding Teams to enable additional secure communication and collaboration workflows. Building on the customizable mobile Teams experience announced last month, today we’re introducing new advanced messaging features. Priority notifications (now in private preview) alerts a recipient to an urgent message on their mobile and desktop devices until a response is received, every two minutes for up to 20 minutes. Message delegation (coming soon), enables a recipient to delegate messages to another recipient when they’re in surgery or otherwise unavailable. Clinicians get repeated notices about critical information that needs to be treated differently than other messages. 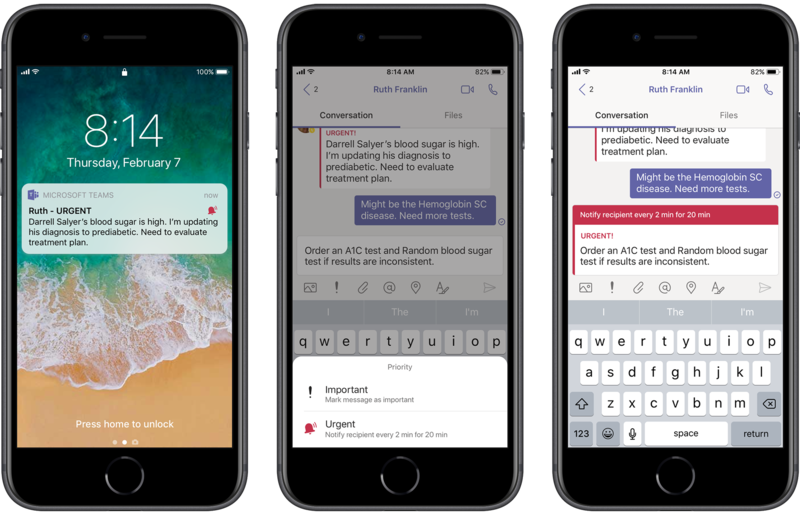 With message delegation, clinicians and staff can assign another recipient to receive their messages when they’re not available. These new capabilities come on the heels of new features, such as shifts, a smart camera with image annotation and secure sharing, so images stay in Teams and are not auto-stored to the care providers’ devices, and new Teams templates for wards and hospitals to enable administrators to deploy consistent healthcare experiences in Teams across their wards, departments, and hospitals. With Teams, clinical staff can now quickly communicate and collaborate in a secure, compliant environment that brings together messaging, voice and video calling and meetings, as well as access to patient information and apps in one hub for teamwork. With Teams, customers can manage hospital operations like shift scheduling, safety processes, supplies, bed capacity, length-of-stay, and other critical operations. As the healthcare industry moves to digitize patient data, enabling the interoperability of data has become a top priority. Microsoft is addressing the challenges of interoperability through emerging standards such as FHIR, providing new opportunities for digital transformation across the care continuum. Teams provides a hub to access digital health records and collaborate in real-time—streamlining workflows for clinical and operational professionals to help create better patient outcomes. Today, we’re announcing the ability to integrate FHIR-enabled electronic health records (EHR) data with Teams. Now, hospital and clinical staff on-the-go can securely access patient records, chat with other team members, and even start a video meeting, all without having to switch between apps. The ability to view EHR data in Teams is enabled through partnerships between Microsoft and leading interoperability providers, including Infor Cloverleaf, Dapasoft, Datica, Kno2, and Redox. By integrating with electronic health records, Teams enables healthcare teams to use a secure hub for coordinating patient care. Today, 420,000 organizations, including 89 of the Fortune 100 and many of the most innovative healthcare providers, are empowering their employees with Microsoft Teams. Organizations including New York State’s largest healthcare provider Northwell Health; South London and Maudsley NHS Foundation Trust; and Saiseikai Kumamoto Hospital in Japan have all chosen Teams to enable secure productivity and collaboration for their medical staff. 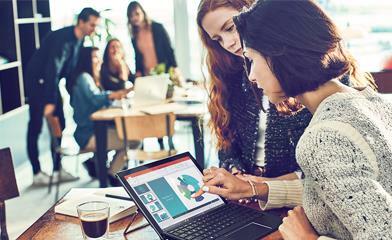 In addition, Microsoft commissioned the global research and consulting firm Frost & Sullivan to complete an evaluation of Microsoft 365 for healthcare organizations, concluding that Teams directly addresses the top challenges facing healthcare providers with a modern, chat-based communication tool that doesn’t require compromising on security and compliance. Next week, members of the Microsoft team will be at HIMSS19, the annual Health Information Management Systems Society conference. Visit us at Microsoft booth #2500. Also, please visit Microsoft 365 and health page and partner site to learn more about how Teams and Microsoft 365 can empower your healthcare teams.